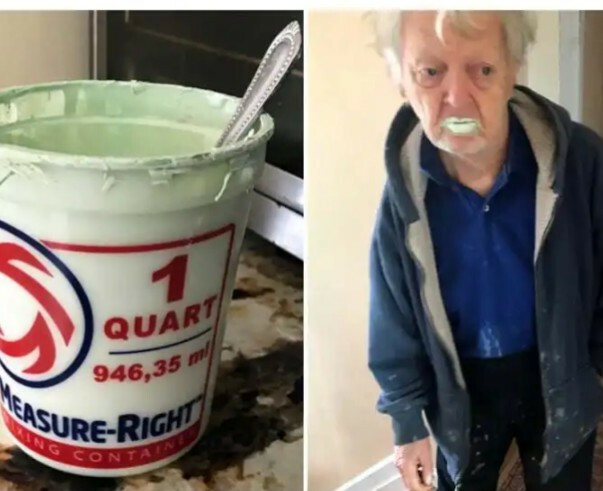 An old man in the United Kingdom ate half a bucket of paint after mistaking it for yogurt. The man, identified as Bobby, became a viral sensation after his granddaughter shared a photo to Twitter. 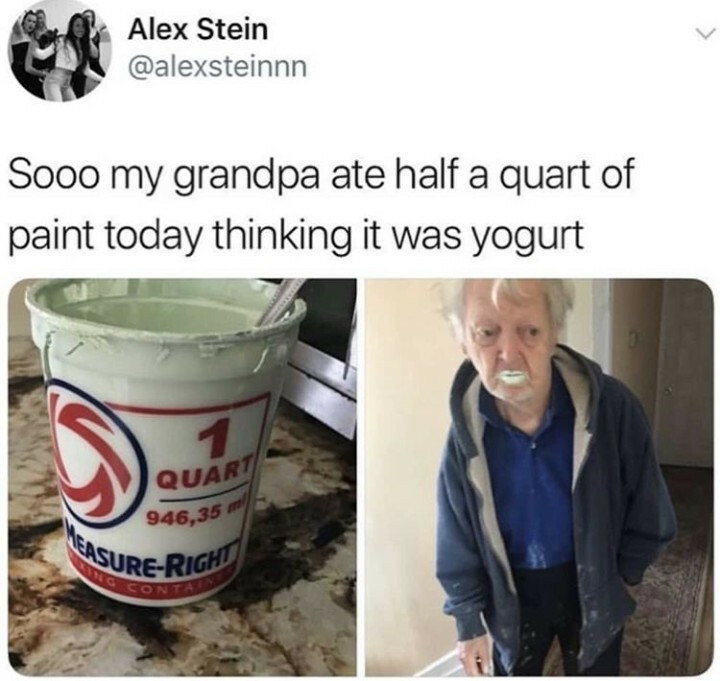 "Sooo my grandpa ate half a quart of paint today thinking it was yogurt,” Alex Stein wrote on Twitter. Luckily, ingesting the chemical didn't have a life-threatening effect on him.